How do you imagine a successful company? To my mind, a powerful and successful company functions best and with the most efficiency when employees work with a team mentality and enthusiasm, each filling a needed role and fulfilling long-term aims. To proceed such output company workers need to understand each other and learn to work qualitatively, learn to work together, work as a team. The feeling of his/her value and usefulness is of paramount importance for a person to achieve all the targeted goals in time and with the best quality. Communication is the perfect way to demonstrate value between team members. It’s difficult to feel like you are part of a company when everybody has information that hasn’t been shared with you yet or when team members don’t fill each other in on what they’re working on. Whenever it’s possible transparency need to be kept, even if the information doesn’t directly refer to every person on your team. Personal development and team building is being especially prioritized in IT outsourcing companies. The policy of such companies is to create the most comfortable conditions for the team so that members pay attention only to their tasks and give the best results. That’s why Agiliway is so successful and keeps moving in this direction in order to make team members more and more integrated. IT outsourcing industry in Ukraine is developing and our company strives to do our best. Our team works as one big family. “Company invests into the team as it is our core assets”. – Bohdan Dmytryshyn , CEO of Agiliway group, said. “Developing processes and workflows that can be quickly implemented and tracked is crucial to managing team, especially when faced with rapid growth. 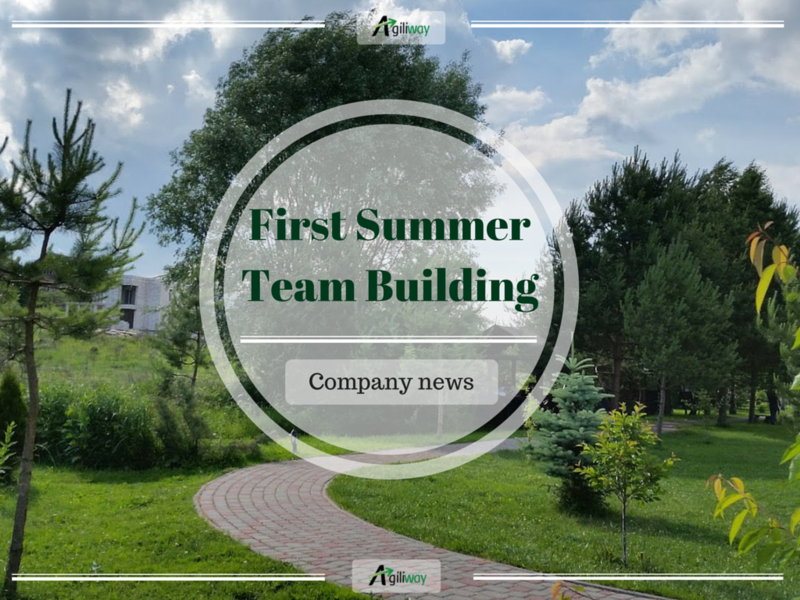 This was our first summer company meeting and we plan to make it an inherent part of Agiliway working process.” – Sergiy Korniyenko, COO of Agiliway Group, reported. The number of Agiliway members is growing every day and such meeting helped to develop a better relationship and understanding between members. Let new members make themselves at home. Our team workers shared their special experiences to help new members get the understanding of outsourcing company goals and priorities. This transparency also helps new members to understand client’s needs better. When every team member takes the time to evaluate a decision and form an opinion, they want to know that their thoughts are considered in the process. Allowing this gives people a feeling of ownership over their work, leading to better performance. Our first summer team building was great! Let me say that we combined business with pleasure. We enjoyed different sport activities and got more enthusiasm for work. Team building activities are great for increasing a company’s efficiency and productivity. Agiliway proved that! 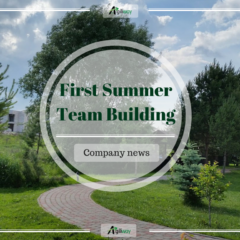 We plan to share with you interesting facts and news about our outsourcing company and let you know more about our future team building meetings.